Internationally Certified Life Coaches, Stress Management Trainers, Yoga Trainers, NLP Practitioners with huge corporate experience are available to bring difference in your life to empower you with concentration, confidence, speaking abilities, fear removal, interview preparation skills and help you to be your best. 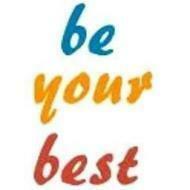 Be your best India is a promising place for you to come and take your life to the next level. Be Your Best India conducts classes in Behavioural Training, Communication Skills Training and Interview Skills. It is located in Jubilee Hills, Hyderabad. It takes Regular Classes- at the Institute.